On the Admin section of the navigation menu, click Administration > Input Classifications (in the Input Faculty Classifications section). 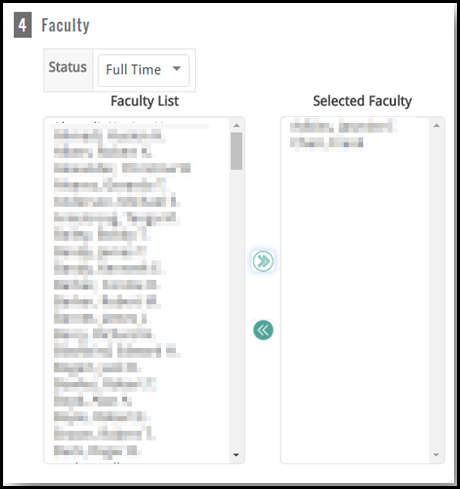 Unit: Filter the faculty list to only display faculty in the selected Unit. Assigned to Unit As: Displays faculty members who are assigned to the selected unit as their primary unit, secondary unit, or both. 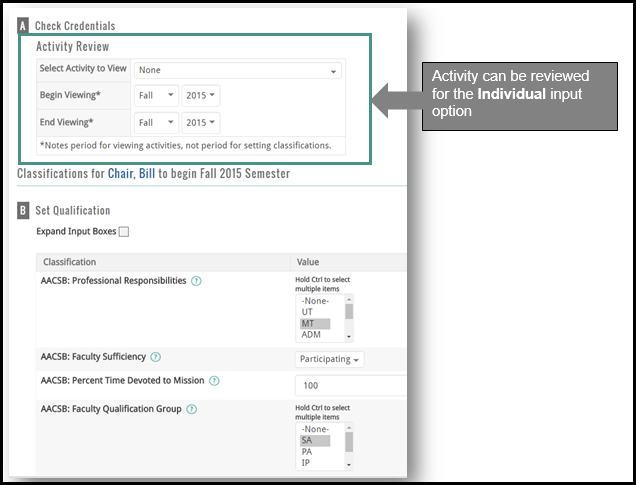 Select the Faculty Classification Input form. Refer to Create an Input form for instructions on creating this form. Classifications to begin Term and Year: Specify the term and year. The faculty classification will be changed for this and every term forward. Caution: Verify the Term and Year are correct since any existing data will be overwritten, based on the term specified. Status: Filter the faculty selection based on employment status (i.e. Full Time, Part Time, Staff, etc.). Select the faculty, then click the double arrow to move them to the Selected Faculty list. Note: Use the Shift key to select contiguous entries and the CTRL key to select non-contiguous entries. To expand the size of any input boxes defined as text-entry, click Expand Input Boxes.